Hello! 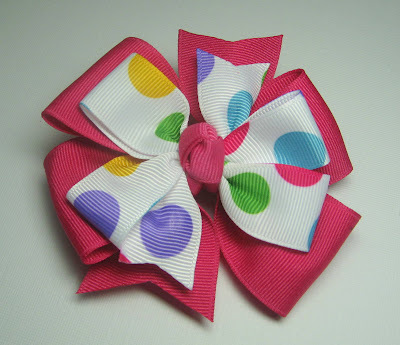 Well it's Tuesday which means it's my turn to post on the Really Reasonable Ribbon Blog! 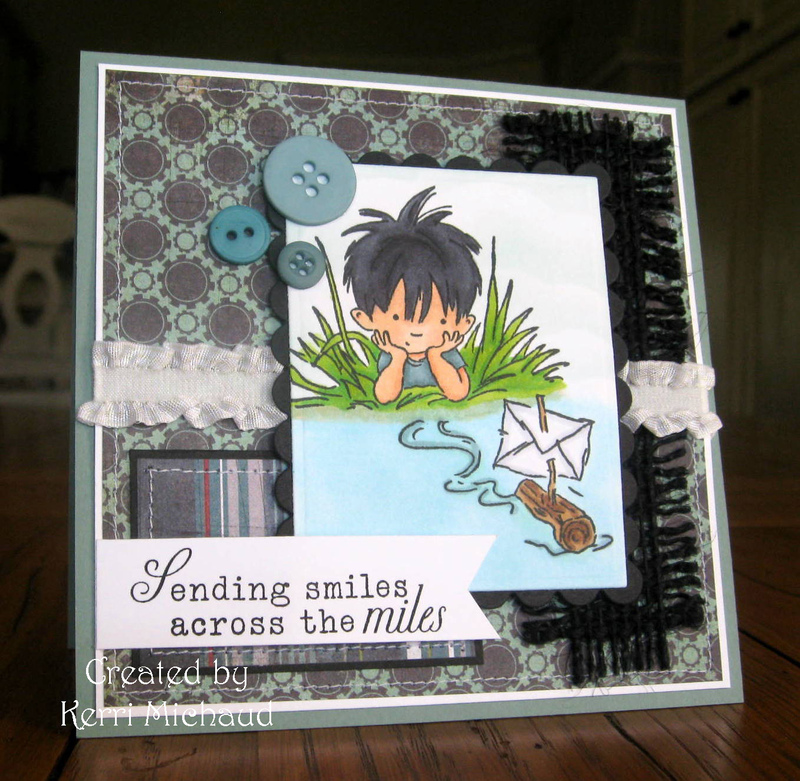 Today I have a card using this super ADORABLE image from Lili of the Valley called By the River. I have to thank my super talented friend Wendy for sending me this image! Thank you, girlie!!! Sometimes it's hard to come up with fun embellishments for masculine cards, but this Black Jute Ribbon is just perfect!!! Check out all the other fun colors of Jute that RRR carries HERE! I also used some beautiful Double Ruffles White Ribbon, and I think it works:) The dp is Basic Grey Oliver. This is also for this week's Lili of the Valley Challenge~One for the Boys, and I used this week's Sketch Saturday layout. I also made another hair bow using this super fun Bright Gumball Grosgrain along with some 1 1/2" Bright Pink Grosgrain. What little girl wouldn't love this? :) That's it for me! Thank you so much for stopping by and have a wonderful day! Fabulous coloring on your card! And I love your bright hair bow. That is so pretty! Love that super sweet card, your design and coloring is just awesome! That bow is so yummy! Love your little boy card. The ribbon is perfect. wonderful card. Great hair bow, Kerri. You go girl. Fabulous card Kerri - love how you coloured your image and the mix of textures and materials make it look really unique! How Cute Kerri what a sweet image, and LOVE that bow gf!!! Have a great evening! Your card is stunning Kerri! A fab layout. I love the ribbon too. Aw!! This is the cutest image!! I just love your coloring and design and all the texture. Gorgeous GF! Love the coloring Kerri and the card layout design. You really made a guy card work with ribbon!! You ROCK!! Your card is gorgeous Kerri, beautifully coloured. Thanks for taking part in the LOTV Challenge this week! Isn't that adorable... Awww... They grow so fast! Very sweet. Fabulous card, love the LOTV image and the black jute looks fab! And your hairbows. Have you made your first million on ETSY selling those yet? That hair bow really is awesome! I agree with Michelle...your Etsy shop should be bringing it in, because I love all your girly fun stuff. Oh, and the boy card is great, too! I like that image a lot, and you've highlighted it so well with your fun layout! Love this! The color combo is right up my alley. So calm and soothing...not really what a little boy is, lol, but this card is fantastic!